Owning and operating a business can be a dream come true. Effective marketing is key to making such dreams reality. There are numerous and diverse ways to market a business. We can help you get the most marketing potential from your business signs. experience, making them more likely to spend money and return. Your business’s branding includes your business name, logo, symbols, packaging, your main product or services, and images based on those characteristics. Your business signage is the ideal place to spread awareness of your brand. All our signs are fully customizable. What works best for another business may not work best for you. That’s why it’s important to have an expert sign company to work with. We understand how signs work in various industries and can help you develop the perfect packages for your business. Many businesses love impulse buyers. Whether this applies to your business or not, you need to provide an incentive for people to want to open your door in the first place. An often overlooked factor that draws in passersby is professional, attractive exterior signage. A unique outdoor sign can make a passerby curious as to what is on the inside. Should you be looking to replace old signs or take what’s there and illuminate them? We can help you make the decision. By making a change to your signage, you can see an increase in interest and in sales. Over time, a new or revamped sign can easily pay for itself. Today, most of us feel rushed and under pressure at some time during the week, if not every day. Goods and services are purchased in a hurry. And people often make very quick decisions about where to spend their money. Advertising right and demonstrating that you care about your customers are key to getting this business. Signs are an excellent resource. They create images in people’s minds that will help them to decide to shop with you or use your services. 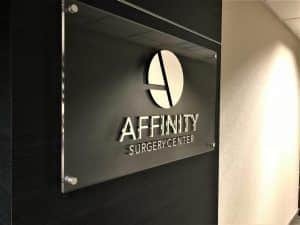 Have a look at four of our top-rated signs that we create in the Los Angeles area. They offer advantages for any business. Because first impressions count and you want to be seen immediately you need building signs. Many people enter a business based on the sign outside. A building sign can be your best outdoor marketing tool. One of the reasons that building signs are top-rated is that they come in many different types. No longer do you have to settle for a sign that looks like so many others. Today, you have your choice of awning signs, channel letters, 3D lettering, neon signs, storefront graphics, and other custom business and store signs that reflect your business or company. These types of signs are quickly becoming one of the most popular ways to advertise your business. You can use channel letter signs outdoors or indoors and they can be lit from the front or back or not at all, it’s your call. For durability and great customization options, check out channel lettering. For high impact and high visibility, channel letter signs are worth it. When you need eye-catching and awesome all rolled into one, look no further than having monument signs installed for your business. The ‘monument’ portion of the sign can be created using concrete, metal, natural stone, brick or another element. The signs themselves can include logos, images, and various fonts and colors. If your business is in a business park, a shopping mall or another large venue, monument signs get your business noticed. Their distinctive styles can stand out at the same time as matching any type of building exterior. There is nothing more satisfying than finding the perfect signs for your business. Office building signs can be indoor or outdoor, but all are designed to give your business the extra boost it needs. Indoor, there are lobby signs, identification signs, directional, and directory signs, and more. Outdoor office building signs include channel letter or monument signs. A business sign can act as a silent salesperson, always on the job in all kinds of weather, and never calling sick or needing a vacation. Signs do more than most people imagine. They are integral to placing a business front and center in the minds of all near your location. Even when your business is closed, you can be sure you’ve got the best marketing out there, improving your brand recognition and awareness. For the most effective way to advertise, do it with business signs. To get the most out of those signs, work with full-service sign professionals who listen to your needs and know your area.